A Motorcycle Wheel... And Eventually More. 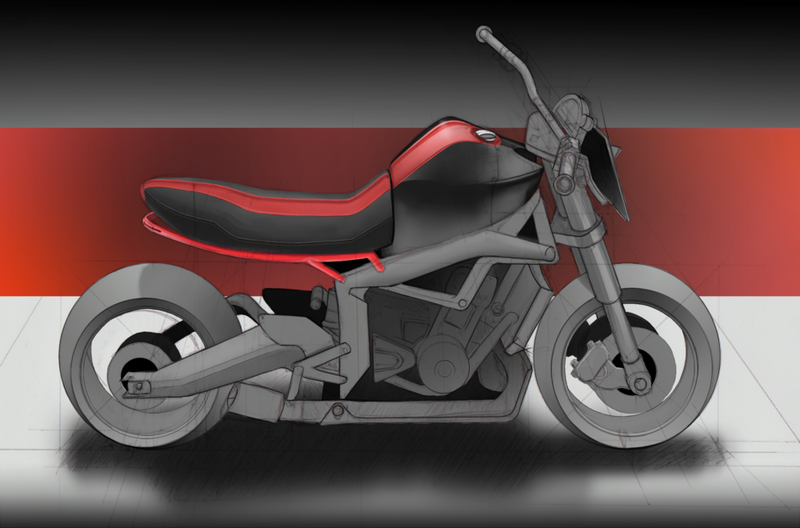 Been working on a motorcycle design for fun on the side of my mobile game project. This design is a new gas tank and seat sat on top of a Triumph 675 Daytona frame and engine. The clip-ons have been changed out in favor of handlebars, and the front fairing has been switched out for a metal off-road racer styled plate. This particular illustration focuses on the look of the new Sub-frame, Seat, and gas tank appearance on the bike. The image was started with traditional tools on vellum, then scanned into Photoshop for a digital line-art overlay and all of the colors, reflections, and value. There are more design iterations to be uploaded soon. Here's one image from my recent design project: Ceres. More images to come soon.